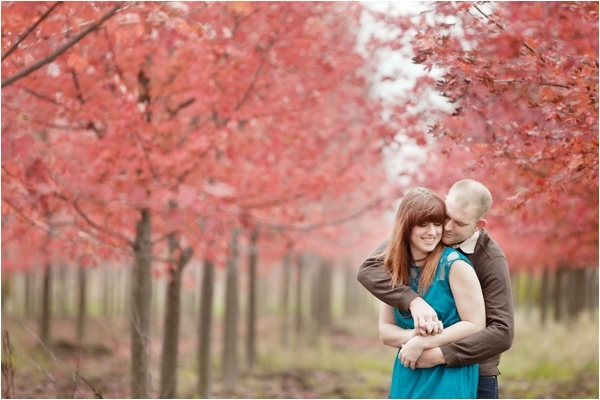 How sweet is this autumn engagement session? 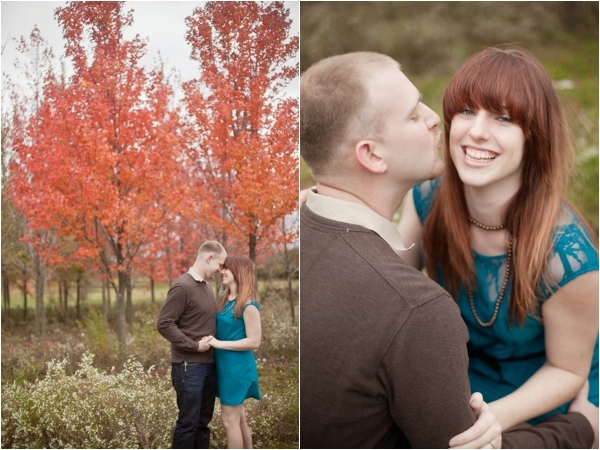 These lovely photos were taken by Catherine Rhodes Photography (based out of Missouri). Thank you for sharing this shoot with us, Catherine! 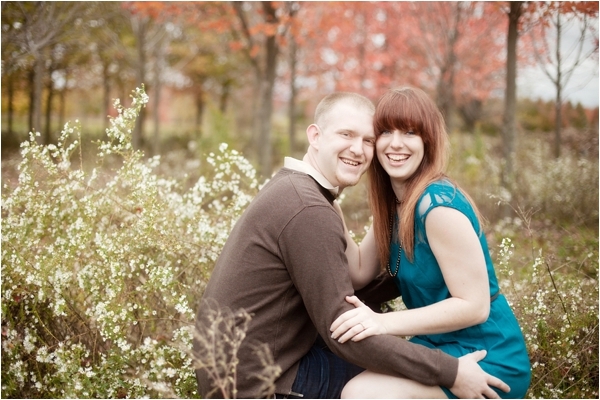 From the couple: We were both very excited and anxious to have our session. We got to go to this beautiful tree farm when all the trees' leaves turned a beautiful orange and yellow color! It may have been cold but that wasn't a problem because Catherine, our photographer, kept out minds off it the whole time. I was so glad she wasn't a traditional boring posed photographer and instead she was a wonderful fun-loving photographer that made it a warm and free spirited environment. 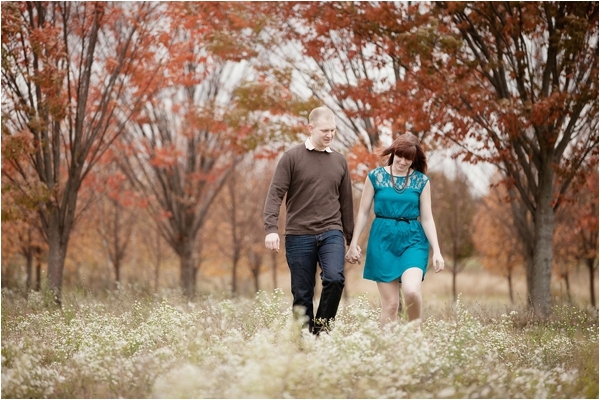 We had such a blast during our session and got the most beautiful pictures as a result. Couldn't have asked for a better time or photographer, it was perfect! The love story: We met our freshman year in high school and dates for 7 months then decided to take a break for while. My senior year after I graduated we ran into each other and things just clicked. 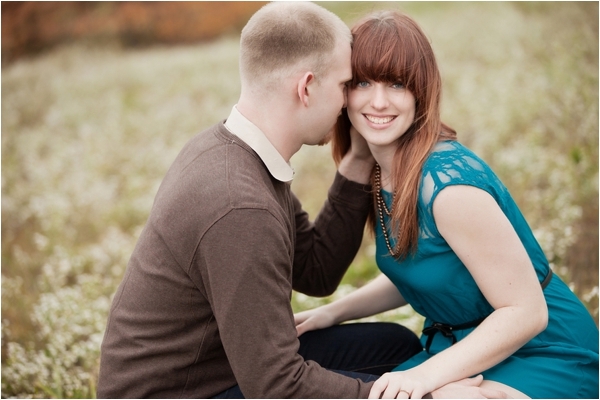 We started dating and 7-8 months later he proposed to me. 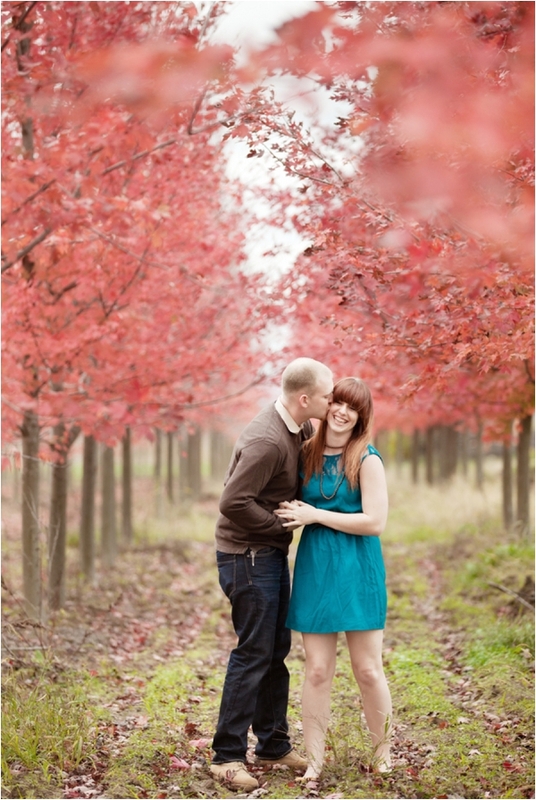 The proposal: He was very creative and romantic with the way he popped the question. It was the day after Christmas and we were visiting his moms side of the family in Illinois. His grandma always does this riddle tree ornament hunt and that year happened to be my first year. So we all picked number and I of course got number one. His grandma read the riddle that went a little like this..."I'm a square box with a ribbon on top and even though I'm small they always say big surprises come in small packages, what am I?" So then I went searching and found the box. Usually they don't pull the ornaments off but mine was special so I tugged it off the tree and took the ribbon off and saw the Zales brand on the box. A smile from ear to ear lit my face. I opened it and there inside was a beautiful ring and a note that said "Will you marry me?" And of course I said yes and we kissed and now it's been three wonderful years and we are finally on the fast track to our wedding day in January 2014!